Second full length for the Italian vampire punx Horror Vacui after their (already) classic "In Darkness You Will feel Alright" LP. 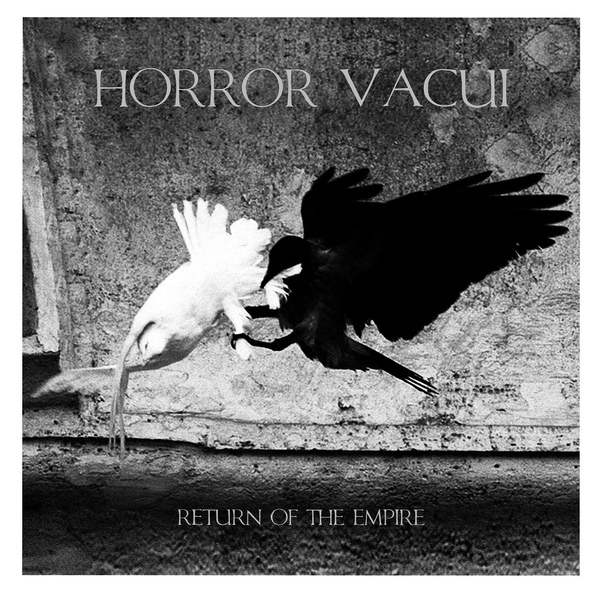 8 brilliant tracks of pure goth/death rock in the vein of Lords Of The New Church, Spectres, T.S.O.L., Sisters Of Mercy and 1919. This record has been released in 500 copies by the American label Black water in support of their October/November 2014 U.S.A. tour with a slightly different tracklist. The European version will come in 1000 copies co-released by L.O.T.D. and Avant! Records once again and distributed by Agipunk. A limited edition of 300 copies on white marble and an extra silver, green and purple screen printed on black cardboard cover will be available via mailorder only (both Avant! and Agipunk) and through the band itself at their live acts. Full Cd version released by the American label H.P.G.D. Productions available too. Don't miss the chance to add this piece of wax to your collection or be damned forver! Order your limited edition copy right now!